DARKE COUNTY – Deb Shiverdecker, administrative assistant for Darke County Park District, was selected to present an education seminar at the annual Ohio Parks and Recreation Association conference at the Kalahari Resort and Conference Center in Sandusky on February 3-6. After working in public accounting for many years, Shiverdecker applied for a position at Darke County Parks after a friend told her “I know of a job opening and they need you.” She has been with the Park District for almost 14 years now. Shiverdecker is responsible for financial, budget and board reporting, planning and managing events, administering the Community Parks Improvement Grant program and assisting the director in the development of the cross county Tecumseh Trail that will eventually connect Ohio trails to the Indiana trail system. She served as the parks’ liaison to the Citizens for Darke County Parks committee during their last levy campaign. She writes and administers many of the grants that provide extra support to the Darke County Park District including all of their trail grants. 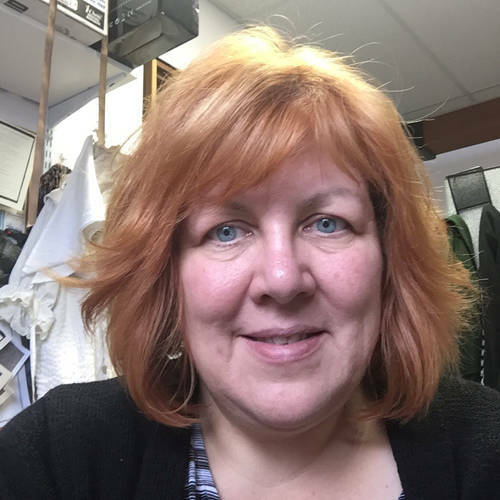 In her spare time, she often dons period costumes at park sponsored historical events, helps make maple syrup and represents the Darke County Parks at various meetings and events. Shiverdecker is proud to be able to represent the Darke County Park District at the conference and to hopefully share some tips and information to help her peers in the parks and recreation field. “I am passing along things that I wish I had known when I started learning to write grants on my own,” she said. She was supported in this project by local grant writer and funding specialist Susan Laux of Mote and Associates, Inc. in Greenville.